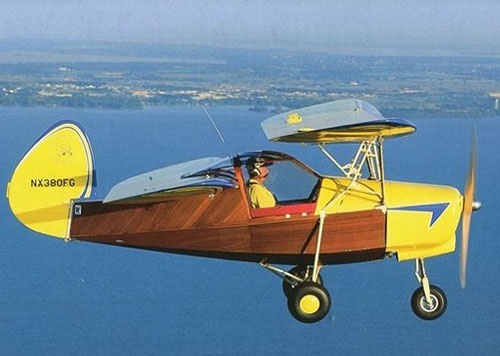 The Flying Flea was designed by Henri Mignet, a French designer/builder, in 1934, and was one of the first home-built airplanes. A number of the early airplanes crashed because no one realized how important the weight and balance on the airplane was. After learning this, the Flying Flea has had a very good safety record, with many of the planes still flying and being built today. 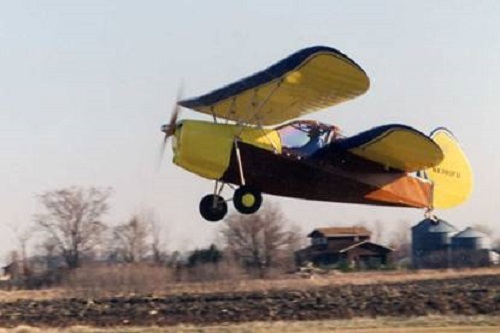 The Flying Flea was designed to be built in one's garage, so it was very simple to construct. The controls are also unique in the fact that there is a rudder, but no rudder pedals. Mignet claimed that anyone who could drive a car could fly it! 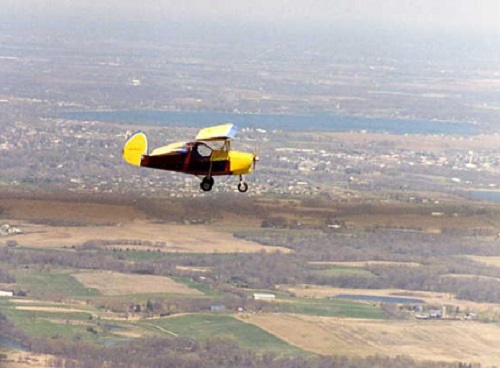 This particular plane is a two-place Flying Flea (most were single seaters). 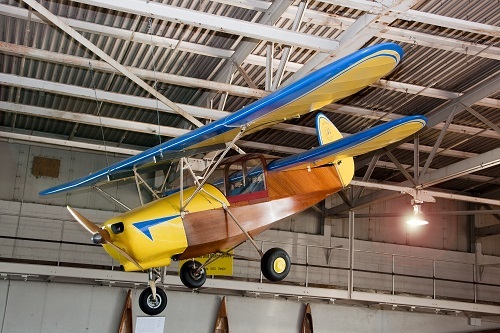 This plane was started by Stan Grapp in 1963, but sat unfinished in his basement until 1996. Marvin Getten then became interested in helping Stan finish the Flying Flea. 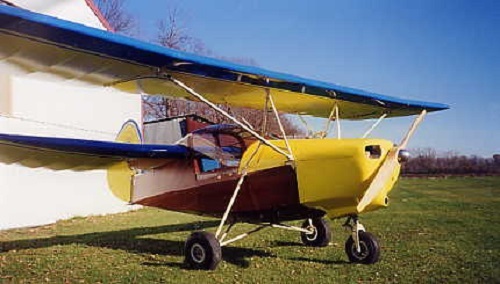 The plane was finished in 1998, and in 1999 it was flown to an EAA (Experimental Aircraft Association) Air Venture meeting in Oshkosh, Wisconsin. Also note the folding wings, allowing storage of the HM.380 in one's garage.